Well...you can have it! Wendy Kromer has an online store where you can purchase The Cherry Blossom Cake Flowers, viewed in Martha Stewart Weddings. There are four different sizes of flowers so you can mix and match. 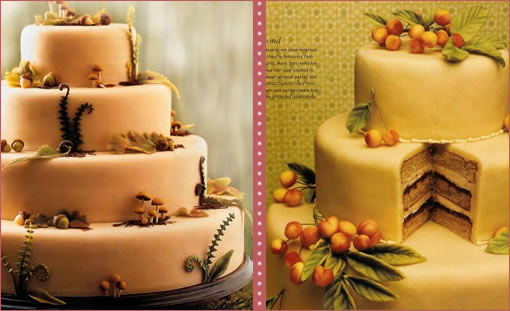 She also offers entire cake kits so you can create the cakes just like the two below. We are pretty sure you still have to hire a professional baker but if you are known for your skills in the kitchen, how awesome would that be to bake your own wedding cake! If we could, we would...well maybe.